Beantown Camp Discount Expires Today! Read more about Beantown Camp Discount Expires Today! The discount for Beantown Camp expires on Monday, May 9! Now is an excellent time to get in your registration before full prices go into effect. Dancing to some of the best Swing bands including Campus Five (for two nights), Gordon Webster and Boston Swing Express! Belting out your favorite tune at late night karaoke! Rolling out of your bed and down to the beach for some relaxation time! Hanging at the pub with your new and old friends! Thanks to everyone who joined our workshop weekend with the always amazing Michael Jagger and Evita Arce! Uptown Swing was a blast with the fabulous Toni Lynn Washington Band AND a phenomenal performance with M&E. The room was hoppin’ and so much fun! If you want more classes with Michael and Evita (and how could you not? ), come to Beantown! Can you imagine a whole week of awesome classes with awesome teachers? We’ve got that! Springtime and beautiful weather remind us that summer is on the way! 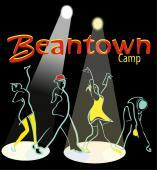 Start off your summer with an excellent time at Beantown Camp. There will be tons of great classes with some of the world’s best instructors, amazing performances, great live and DJ music for hours of social dancing, friendly dancers from all over the U.S. and beyond, plus a bunch of other fun activities. All levels are very welcome to attend! Check out the schedule for what’s in store. May 9 is the due date for discounted tuition fees. Early birds - get your discount for the Whole Shebang and Week before it expires this Sunday, March 20! The early bird discount for the whole shebang and week expires on Sunday, March 20. Payment (deposit or full) must be received by that date to qualify! Come to Beantown for a dance vacation! Everything you need is included on campus. No need for a car. No need to figure out where to eat. Immerse yourself in dancing, friends and having an amazing time. The setting is beautiful, right on the shore just north of Boston. World class instructors, incredible dancers, top bands, performances and entertainment, competitions and SO MUCH MORE!!! Camp registration is now open! Join us for our 15th year, once again at the beautiful Endicott College campus, on the shore just north of Boston. Sign up early for the full choice of housing options. There are multiple choices to choose from whether you want a single, double or to coordinate with a group of people. The early bird discount for the whole shebang and week expires on March 20. Registration opens at midnight on February 20 for the 15th annual Beantown Camp!